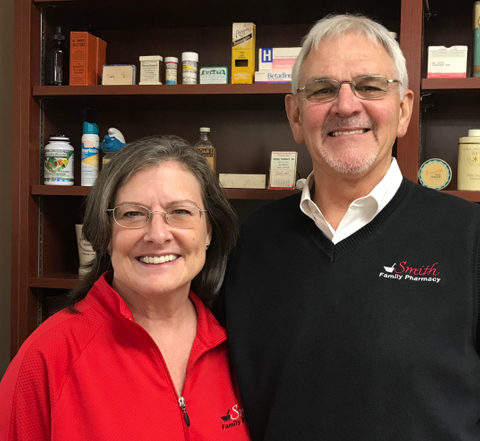 David and his wife, Shirley, own Smith Family Pharmacy and have been serving the citizens of Conway and the surrounding areas since 1974. David completed his undergraduate studies at the University of Arkansas at Fayetteville where he was a member of the Razorback Marching Band. A 1974 honor graduate of the University of Arkansas College of Pharmacy, David has spent his entire career in Conway. From his earliest days of employment as a staff pharmacist, then as a pharmacy owner and partner in multiple other pharmacies, his passion has always been “taking care of folks.” He is a past president of the Arkansas Pharmacists Association, is an avid golfer, and a loyal Razorback fan. He and Shirley love spending time with their 5 grandchildren and love to travel. They are convinced that “People may forget what you say or do, but they never forget the way you make them feel.” Come feel the difference for yourself at Smith Family Pharmacy. Blake Johnson grew up in Little Rock, Arkansas and graduated from Bryant High School. He completed his undergraduate studies at Arkansas Tech University in Russellville. 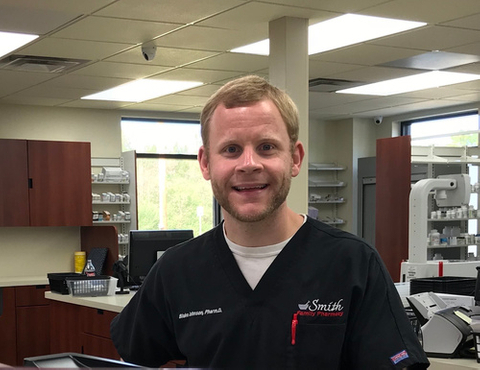 A 2013 graduate of the University of Arkansas College of Pharmacy, Blake joined the staff at Smith Family Pharmacy in September of 2015. He and his wife Kristyn live in Conway. Blake is a dedicated runner, and he and Kristyn love to ride their bicycles and have travelled extensively. Blake enjoys joking with his patients but most importantly providing them with outstanding service. He is also semi-fluent in Spanish, which enables us to better serve our local Spanish speaking population. Bailey grew up and currently lives in Morrilton, Arkansas and graduated from Morrilton High School. She completed her undergraduate studies at Hendrix College in Conway and graduated as valedictorian of the 2017 University of Arkansas College of Pharmacy. 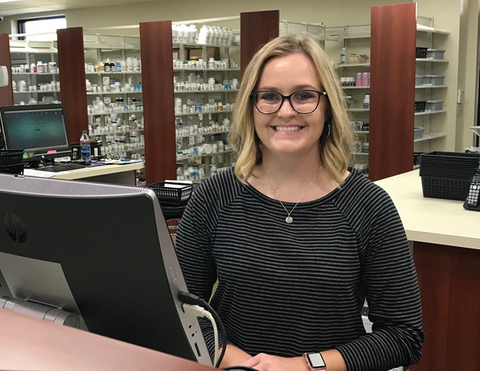 She joined the staff at Smith Family Pharmacy as a pharmacy intern in November of 2014 and we were very happy to change her title to staff pharmacist in May of 2017. She and her husband, Lee, enjoy being outdoors and spend their free time riding horses and competing in rodeos.